Mazda Motor Corporation revealed the new Mazda CX-3 to the world at the 2014 Los Angeles Auto Show. This compact crossover SUV is the fifth model in Mazda’s line-up of new-generation vehicles that feature the full range of SkyActiv Technology and Kodo Soul of Motion design. 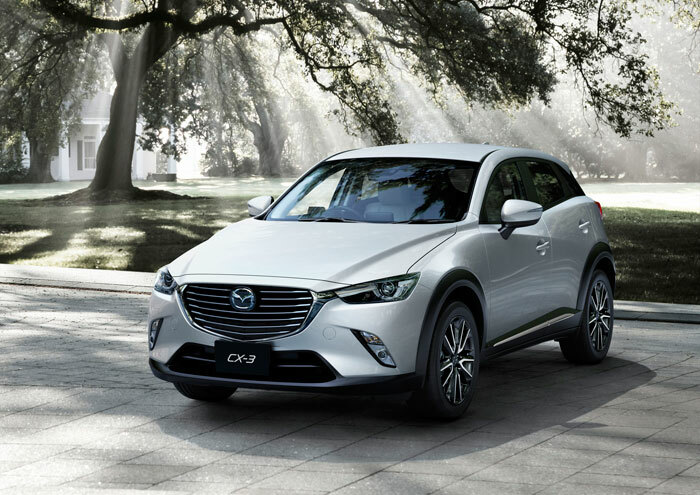 With global launches starting in Japan in the spring of 2015, the CX-3 is set to hit South African shores in the latter part of 2015 – and should become a staple model in South Africa’s Mazda vehicle line-up. The new compact crossover SUV offers all the essentials: a design of overwhelming quality and style, packaging developed solely with the customer’s ease of use in mind and the responsive driving feel Mazda strives for in every model. The CX-3 was developed to suit the customer’s lifestyle in any scene, from inner-city driving to the great outdoors. outstanding environmental performance,” says David Hughes, managing director of Mazda SA.